While there are many things beyond trends that influence your choice of engagement rings, taking a look at some of the styles, settings and bands that are making an appearance around the world can be very helpful in providing inspiration for what you like (and what you don’t like). Custom designed rings are a great option for those who cherish the thought of a ring that is truly unique and individual. 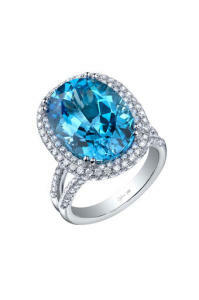 Inspiration from current trends will give you plenty of ideas on what you want to include in your ring’s design. Without further ado, we hope that you enjoy these current ring trends for 2015. 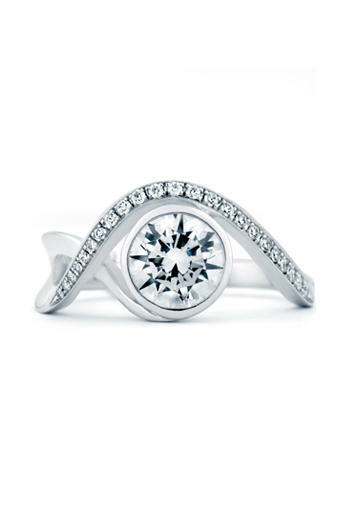 The trend towards minimal rings has showed that there are many ways to add impact to a ring without being too bold. 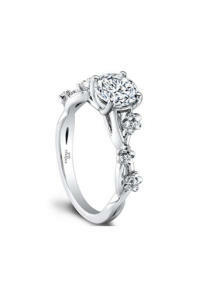 Twisted bands are one such way to add some interesting detail to a ring. The band can be kept unadorned if you prefer something simpler, or it can be encrusted with tiny stones for a more ornate look. You could even look at having a matching wedding ring that entwines within your engagement ring. On the topic of bands, you do not have to settle for just one type of metal, either. 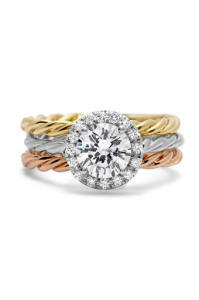 Mixed metals are a modern way to add to the visual appeal, blending different coloured metals such as rose gold, yellow gold, platinum and white gold to create a unique band. As each metal has its own qualities and even symbolism, this is also a nice way to bring in some meaning – be sure to do your homework first so that you know what each metal symbolises. Bows are a romantic, soft shape that will suit brides with a playful nature. The band or stone can be used to create unique shapes, which could vary from something like bows to more classic hearts. Bands that take the shape of branches of rustic antlers are also proving to be a popular choice for modern brides – if you think outside of the traditional concept of ring band, you may find many other ideas for shapes. Romantic, classic and undeniably whimsical, floral details are not a new trend, but rather a trend that keeps coming back over the ages. There are many ways that floral details can be brought into the ring – in the stone shape, in the way that the stones are clustered, in the band and all of those together. The detail is what counts here, so think delicate rather than big and bold. 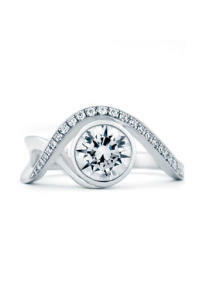 Diamonds are a classic choice of course, but even this timeless stone can be jazzed up when choosing a coloured diamond. Chocolate diamonds are an unusual yet elegant choice, while outside of diamonds, there are many beautifully eye-catching stones to consider – including Tanzanite. A simple design that features a vividly hued stone can be even more dramatic than an elaborate design with an uncoloured stone, so choose your colour carefully. The most important thing to remember, of course, is that this is a piece of jewellery that will be worn day in and day out. 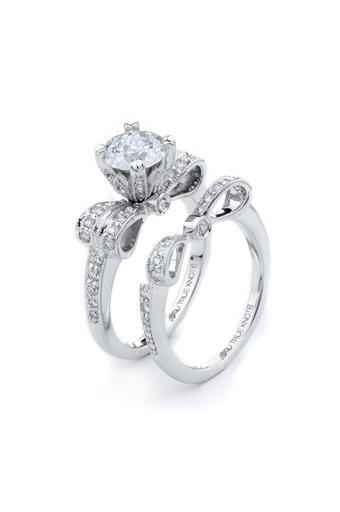 It is lovely to have a ring that is fun, modern and over the top, but you may find that a very bold ring clashes with your other jewellery or even with your clothing. 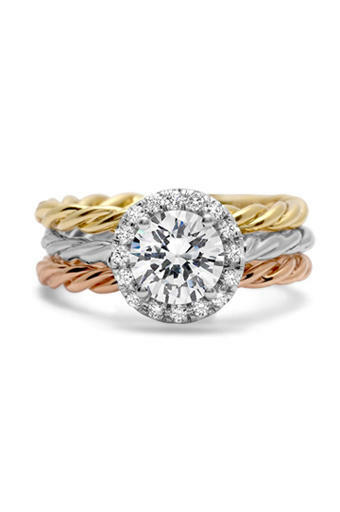 Consider your everyday style and aim for a choice of engagement rings that wows without taking over.